Oral-B electric toothbrush is #1 choice of dentists around the world because it offers the consumer with everyday dental hygene solutions for health and wellness. For many years Oral-B has been producing high-quality rechargeable toothbrushes, offering the perfect model for your individual oral care teeth cleaning needs. The company truly offers you a complete oral hygiene system. Choose from a variety of vibrant Oral-B toothbrushes, oral irrigators, power toothbrush accessories and interdental oral care products. The Oral-B Triumph Series and ProfessionalCare toothbrushes carry features such as 2 minute and 30 second interval timer, built-in pressure sensor, ultimate plaque removal technology, and much more. 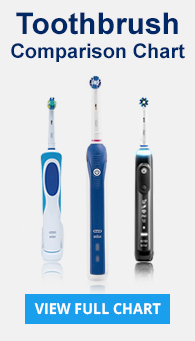 Oral-B Pulsonic series, Sonic Complete, and Vitality toothbrushes are equipped with unique oral care interdental bristle technology, which penetrates those hard to reach area. With multiple settings you can customize your daily cleaning experience and get more out of every single stroke. If you want to surprise your little one’s with a fun and powerful cleaning routine than make sure to check out the kids power toothbrushes. Choose from a variety of popular animated Disney and Pixar characters. We carry a wide assortment of Oral-B brush heads for all of the power toothbrush models. These replacement brush heads include the best of Oral-B technology and deliver a sparkling smile day and day out. If you are looking for a product that will improve your gum health than look no further than the revolutionary Oral-B flosser. This ergonomically designed power flosser is tough on those pesky interdental areas whose cleanliness can affect overall oral hygiene. Oral-B electric toothbrushes are highly recommended by orthodontist and dentists all around the world, to ensure most excellent dental hygene.